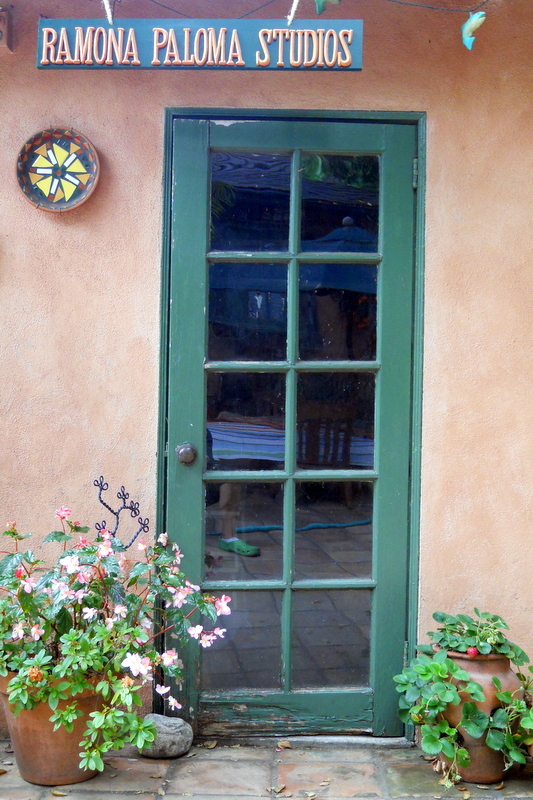 Ramona Paloma Tile Studios is located in the lovely nook of Sierra Madre, within the vast Los Angeles area. We are 2 friends, making high-fired ceramic art tile. We laugh a lot, take daily inspiring walks with our dogs and love the adventure of working with clay. We make one tile at time. Each piece is beautifully imperfect and one-of-a-kind. We embrace the notion of seeing “the hand in the work”–our tiles wear this philosophy with enthusiasm. As if twins separated at birth, Tracy and Soozee have seemed to live parallel lives. Their histories have criss-crossed each others’ since they were children. The coincidences are remarkable. When they actually met for the first time during a water aerobics class in 1998, the inevitable kinship was decreed–sisters and Tile Twins! Humor, combined with a kindred spirit and an appreciation for the little things in life, ignites the whimsy and creativity that is Ramona Paloma Tile Studios. Each tile is a mini-piece of art: placed on a mantle, used as a trivet, given to a friend. Please have a peek at the “blog” tab above–introducing new tile designs, kiln loadings and openings or other stuff we think you want to know. Please click below for more information about us. Vickers–we totally remember when you came by at CAG. I think you are friends with Penny, right? There were definitely some laughs to be had then. Thanks for your support! It keeps us going. Oh my gosh….we love your stuff! We are running out of space because we have so much of your stuff. Your work provides great inspiration in our workspace! Thank you for your note and for checking out our blog! Just to let you know–RamonaPaloma.com has a limited amount of tile, with our Facebook having a bit more…I guess I’m saying that our shows and art festivals have all our current work on display–if you ever want to see more of it. Either way, thank you for writing.